This post shares observations of what I’ve been seeing in fields pre-harvest and during harvest during this 2018 growing season. Some of these problems stemmed from hail/wind damage and others insect damage. This is a longer post with the desire to have many resources available to you in one place. Hopefully this will be helpful for diagnosing concerns as harvest continues. 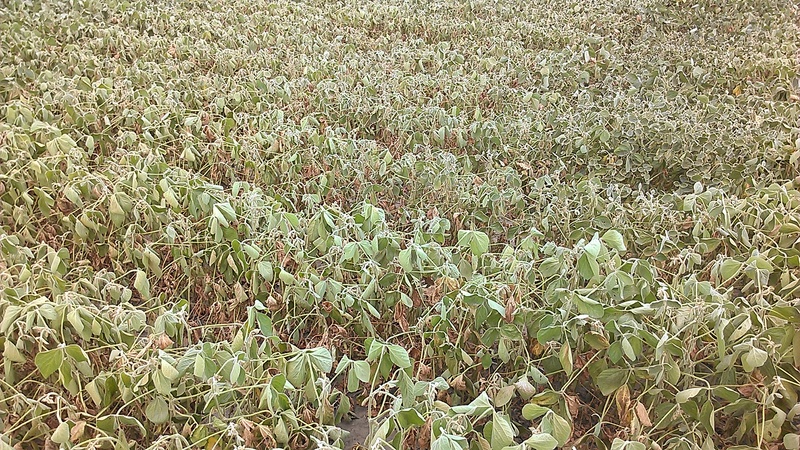 (Photos above) Hail-damaged soybeans pre-harvest. The plants in this field weren’t pummeled into the ground, but from the road it was deceiving as to what the soybeans were actually like on these plants. The two smaller photos are all the soybeans found on 2 adjacent plants from the top soybean photo pre-harvest. There were a lot of aborted pods on stems and moldy beans in general. For those who combined hail damaged beans in the area, farmers shared they had everything from ‘lima’ beans to shriveled, moldy beans as you can see in these pics, which is also what we were anticipating may be found. Examples of soybeans that had sprouted in the pod pre-harvest. We may unfortunately see a lot more of this with additional rains. Removed a bunch of pods from a plant with Diaporthe/Phomopsis complex in which there were many flat, unfilled pods and pods of various stages of fill. This is what I found in the pods. This complex consists of diseases such as Pod and Stem Blight, Stem Canker, and Phomopsis Seed Decay. Perhaps note which varieties you notice more of this. Two different grain quality concerns in soybean. (Left photo) This soybean damage can be attributed to potentially a few things. I have found pycnidia of Phomopsis (Phomopsis seed decay) in samples like this. 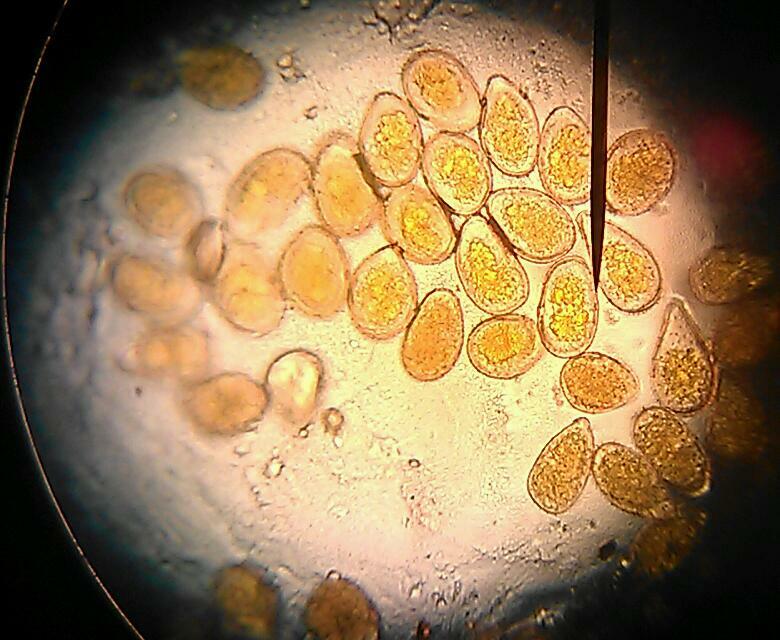 The UNL Plant and Pest Diagnostic Clinic has also diagnosed Phomopsis Seed Decay in samples. There’s also a publication from Ohio State (https://agcrops.osu.edu/newsletter/corn-newsletter/2017-24/stink-bugs-soybean) which attributes these symptoms to stink bugs. There was stink bug pressure in some fields this past year. So there’s potential that we have a few things occurring creating these symptoms. 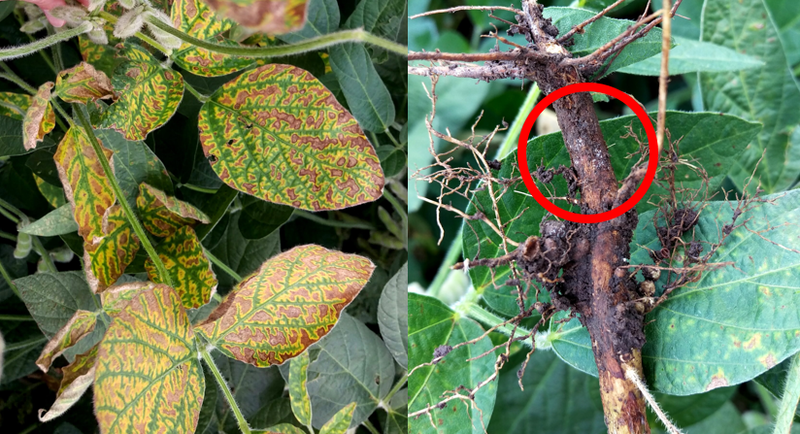 (Right photo) This soybean damage is called ‘Purple Seed Stain’ and is caused by the fungus Cercospora kikuchii. I mentioned this in this blog post. Pre-harvest was seeing quite a bit of Fusarium in places where hail stones or insect damage occurred on ears such as this photo. Notice at the base of the ear, the ‘starburst’ shape occurring within kernels (I think of it like fireworks exploding when viewing the top of the kernel). Kernels infected with Fusarium will have a white/pink fungal growth that later causes kernels to become brown or gray and shriveled. This ear was from the same hail-damaged field as photo above and I picked this right before the field was harvested. The Fusarium and picnic beetles had greatly destroyed affected kernels. Cladosporium (green colored fungus) can also be seen affecting this ear where damage had occurred. Cladosporium ear and kernel rot seen on kernels already affected by Fusarium, particularly in hail damaged fields. This is a lesser ear rot fungi and doesn’t produce a mycotoxin but can create increased damage to kernels. Was recommending taking grain damaged to this extent directly to the elevator. The deep red color on this hail damaged ear is due to Gibberella. We may see an increase in this with all this late-season rain. Other symptoms include matted fungal growth with husks sticking to ears. Gibberella has the potential to produce the mycotoxin zearalenone. The presence of the fungus DOES NOT automatically mean the presence of a mycotoxin. Kernels at harvest displaying damage from Fusarium and Gibberella. I received a number of samples from various farmers displaying these symptoms and picked out these kernels to show. Notice the pink/red discoloration of the kernel and also the shrunken, damaged kernels that are brown or gray in color. Grain should be dried as quickly as possible to 15% moisture to cease fungal growth in storage. This is another field I’ve been watching that was hail damaged. The ears themselves show very little damage; however, my concern is the ‘starburst’ pattern occurring throughout these ears throughout the field. The ‘starburst’ pattern is also characterized by the white lines observed on the sides of individual kernels. This is caused by Fusarium. The above photo is that same field at harvest. 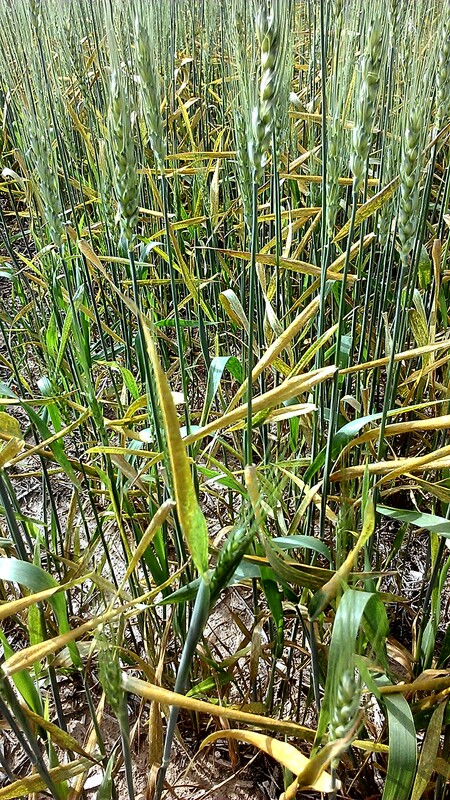 ‘Starburst’ pattern on kernels seen as white streaking due to Fusarium. More severely infected kernels are brown in color and dissecting them show they were trying to germinate. Also noticing cob rot occurring. Drying the grain to 15% moisture as quickly as possible will cease fungal growth. Fusarium also has the potential to produce the mycotoxins Fumonisin and Deoxynivalenol (also known as DON or Vomitoxin). NOTE: The presence of the fungus DOES NOT automatically mean the presence of a mycotoxin. Photos above shared by a Clay County farmer who observed kernel germination and Fusarium growth (mostly due to western bean cutworm damage) upon harvesting his field. Hormonal balance within the kernels shifts towards harvest. At full maturity, very little abscisic acid (ABA) is left in the kernel (in both corn and soybeans) which allows them to germinate in correct conditions after harvest. These conditions include moisture and temperatures above 50ºF. Presence of fungi such as Fusarium and Gibberella also increases gibberellins in the kernels allowing for kernel germination with presence of moisture as we’re seeing this harvest. Increasing air flow during harvest will hopefully blow most of these damaged kernels out the back of the combine. There’s over 25 species of fungi that can produce ear molds with the majority of them ceasing growth at 15% moisture within the kernel. Thus, we recommend drying grain to 15% moisture as quickly as possible to cease additional fungal growth within the grain bin. The table below shares the days required to dry corn to 15% moisture with 1.0 cfm/bu and various temperature and humidity conditions. “Since drying time is directly proportional to the airflow, the producer can calculate the estimated drying times when using airflows other than 1.0 cubic foot of air per minute per bushel (cfm/bu). For example: Table II shows when drying corn from 18 percent to 15 percent moisture with 50F and 50% relative humidity air, the estimated drying time is 12.5 days using a 1.0 cfm/bu airflow. If the airflow is 1.25 cfm/bu, the estimated drying time would be 12.5 days / 1.25 = 10 days. For 1.5 cfm/bu, the drying time would be 12.5 days / 1.5 = 8.3 days. For 0.8 cfm/bu, the drying time would be 12.5 days / 0.8 = 15.6 days.” Source: Management of in-bin natural air grain drying systems to minimize energy cost. In 2018, we’re primarily seeing Fusarium and Gibberella species which have the potential to produce mycotoxins. Thus, the information below is directed at those fungal species and mycotoxin levels that can be associated with them. Again, the presence of fungi does not automatically mean a mycotoxin is present. The following toxins can be produced from species of Fusarium and Gibberella. Source: Corn Ear Rots, Storage Molds, Mycotoxins, and Animal Health, Iowa State publication, 1997. Source: Corn Ear Rots, Storage Molds, Mycotoxins, and Animal Health, Iowa State publication, 1997. Also, there’s a new app called “Mycotoxins” and it’s another resource with ear rot pictures and mycotoxin information put out by several Universities produced for both Apple and Android devices. May 27: Wheat is in the milk to soft dough stages of filling with later heads still pollinating in Clay/Nuckolls county fields. Stripe rust greatly increased in severity, particularly on susceptible varieties. This photo is showing progression on Overland. I haven’t seen stripe rust yet in fields planted to Wolf. Barley yellow dwarf is appearing in small amounts in more fields, but is limited to field corners/borders thus far. May 23: (Photo: barley yellow dwarf in wheat-characterized by yellow-purple flag leaves. It is vectored by aphids). Wheat is in the late flowering to beginning milk stage in many Clay/Nuckolls county fields. Stripe rust increased in severity this past week in more susceptible varieties and barley yellow dwarf is also appearing more often in patchy areas of fields. May 15: Rain is falling this morning in parts of our area and wheat is in a variety of heading and flowering stages. While the risk management tool at: http://www.wheatscab.psu.edu/ still says “low risk” I’ve been concerned it had the potential to be higher with our growth stage and weather conditions. Last week I received numerous wheat fungicide questions. Caramba and Prosaro are the two products you can apply legally once your wheat is flowering. Twinline is off-label once flowering begins. Yes, it has metconazole in it (also active ingredient in Caramba) in addition to a strobilurin, but it only legally can be applied to Feekes 10.5 which is full heading and is off-label once flowering occurs. Caramba and Prosaro will help prevent scab in addition to kill the rust already occurring in your plants. Unfortunately, I was also starting to see barley yellow dwarf appearing in Nuckolls County fields. This virus is vectored by a number of aphid species. We’d been seeing aphids and stripe rust for a month at this point but both remained below threshold levels/low incidence. Barley yellow dwarf can be identified by the flag leaf turning a bright yellow-purple color. With 80% of wheat yield coming from the flag leaf and there being nothing you can do about barley yellow dwarf, this also needs to be part of your decision making process if you were planning on applying a fungicide for preventing scab/controlling stripe rust. May 9: We’ve been seeing stripe rust in wheat for over a month now, but the amount of rust has remained low. Some have chosen to spray wheat at this point; however I’m also concerned about the potential for Fusarium Head Blight (scab) in wheat. Fusarium head blight is caused primarily by Fusarium graminearum, the same fungus causing Fusarium stalk, root, and ear rot in corn. The fungus survives the winter in corn and other small grain residue and then releases spores in the spring. However, wheat planted into soybean ground can still be affected by scab because the fungal spores can be wind-blown in addition to being water-splashed to wheat that is in the flowering stage. According to research, wheat is susceptible from flowering through soft dough development stage. “Typical” fungicides used for control of fungal leaf diseases are off-label thus illegal to apply once the wheat has flowered and they do not have activity on the Fusarium fungus causing scab of wheat. Management for scab includes the use of the preventive fungicides Caramba or Prosaro. Both are labeled for headed and flowering wheat. There’s a 30 day pre-harvest restriction for both. Rainfast varies from ¼ hour to 2 hours or when dry depending on environmental conditions. Both fungicides can help prevent scab and control rust on the plant. Research from the US Wheat and Barley Scab Initiative (which is a combined effort of several Universities in the U.S. and Canada) has found that the best prevention using these products occurs when wheat is headed and 30% of the plants are in the beginning flower stage. Application within five days of these criteria still showed positive results. This research also showed that application before or after this time period greatly reduced effectiveness of preventing scab. Understandably, the economics of fungicide application are difficult in wheat, yet, if you are aiming to make one application, this could be your best option for both scab prevention and controlling rust in your plants. The risk map for scab can be found at: http://www.wheatscab.psu.edu/. With wheat at heading to beginning flower and rain/humidity this risk in reality could be higher for us. May 1: Wheat progressed quickly in one week! Wheat in Clay and Nuckolls counties have flag leaves emerged even though wheat is really short. The color is getting better thanks to moisture, root establishment, and nitrogen uptake. I also didn’t see an increase in rust incidence this past week and aphid numbers were holding steady. For those asking about fungicides, I’m still hoping we can hold off a little longer with current wheat economics, especially since in those counties rust wasn’t increasing due to the colder temps. With warmer temperatures this coming week, please be checking your wheat. 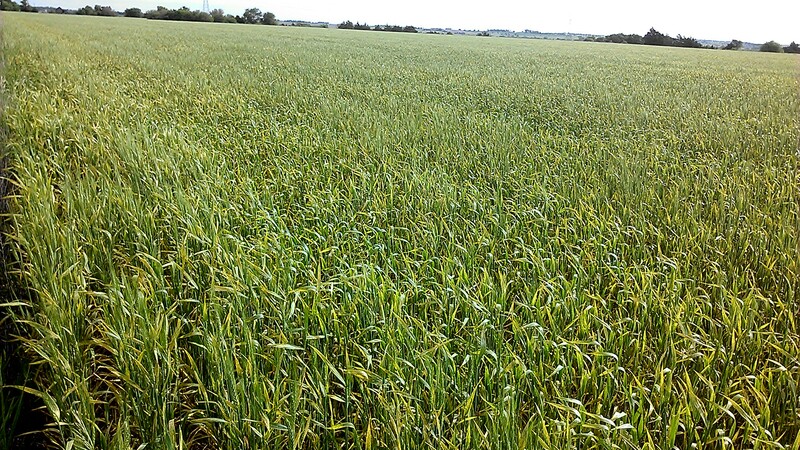 If possible, one option that could be more economical in non-irrigated situations would be to consider treating your wheat once during flowering with either Caramba or Prosaro (as these products both prevent scab at the proper application timing and also kill fungal diseases including rust already present on the leaves). We’ll have to see what happens with rust development and with how long it takes for heads to emerge. There’s also been consistency with some varieties rated high for rust resistance where I have yet to find rust in them-so that’s a good thing! Stripe rust has exploded in wheat in the past 3-7 days in South-Central Nebraska due to the rain and cooler weather. Nebraska Extension is receiving numerous questions regarding options to consider. Rain has also increased our risk for Fusarium Head Blight (head scab). Wheat is at such a variety of stages in the area; many fields are just heading and/or flowering right now while others are in soft-dough. 1-Do nothing and see what happens regarding what yield is obtained. If your wheat is past flowering, fungicide application is not an option as all fungicides would be off-label. Susceptible wheat varieties to stripe rust that have not been treated with a fungicide to date have a yellow cast to them in South-Central Nebraska. 2-If your wheat is headed and beginning to flower, you could still consider a fungicide application of Caramba or Prosaro. Both are labeled for headed and flowering wheat. There’s a 30 day pre-harvest restriction for both. Rainfast varies from ¼ hour to 2 hours or when dry depending on environmental conditions. Both fungicides can help prevent scab and control rust on the plant. However, research has shown that best scab prevention occurs when wheat is headed and 30% of the plants are in the beginning flower stage. Application within 5 days of these criteria still showed positive results. Research showed that application before or after this time period greatly reduced effectiveness of preventing scab. Understandably, the economics of a fungicide application are tight with current wheat prices. The following article includes economic considerations. “Baling hay or chopping silage are two potential options. Rust pustules are not toxic to cattle although sometimes the spores can irritate respiration. It can be difficult to make good silage, though. Rusty leaves dry out rapidly so it can be hard to get the best moisture content for silage packing and fermentation. Usually it is best to harvest rusty wheat hay just before heading to retain reasonable forage quality. As plants mature further, quality can decline rapidly. 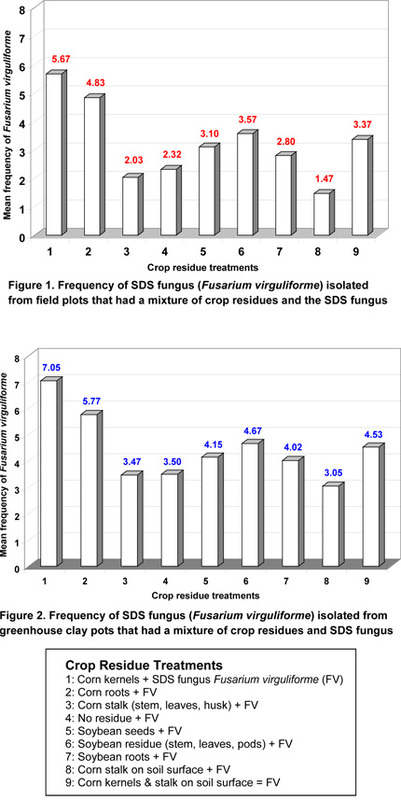 Digestibility of rust affected cells is much lower than that of normal cells. Fortunately, protein doesn’t seem to be affected greatly. Properly made hay should not deteriorate in the bale due to the rust any more than normal. Be sure to have the forage tested before feeding. It is likely that nutrient concentration will differ from typical wheat hay so testing will help in developing rations. Also consider the impact of removing the wheat residue. Adequate residue helps retain soil moisture, boosting yield of your next crop. Also, please continue to check out UNL CropWatch for wheat disease and all our crop updates. 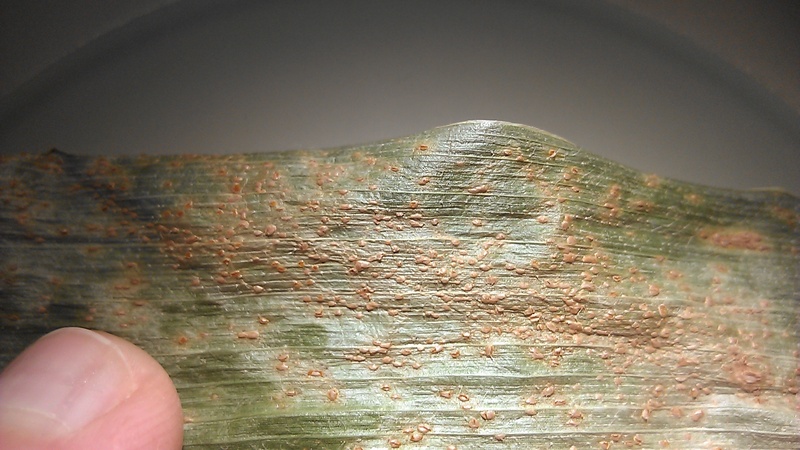 Southern rust of corn confirmed in Clay County July 31. 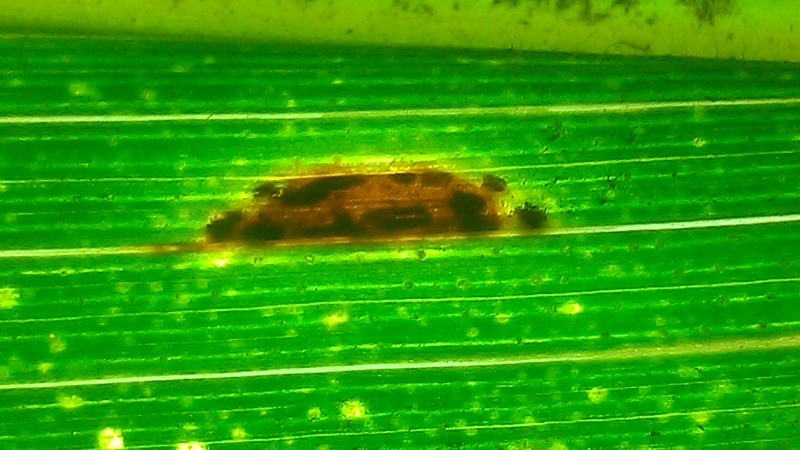 Very small, tan-brown lesions on upper surface of the leaf, usually in clusters. Spores inside the pustules are typically orange. This was found on one leaf in a field near Trumbull. Just because southern rust has been found in the area, we don’t recommend automatically spraying. Scout your fields and consider disease pressure, growth stage, and economics. Long season corn and late-planted fields have the potential for most damage. Secondary common rust sporulation has also been confused as southern rust as the secondary pustules tend to look like this. It’s important to obtain microscopic confirmation to know for sure if you have southern rust in your fields. 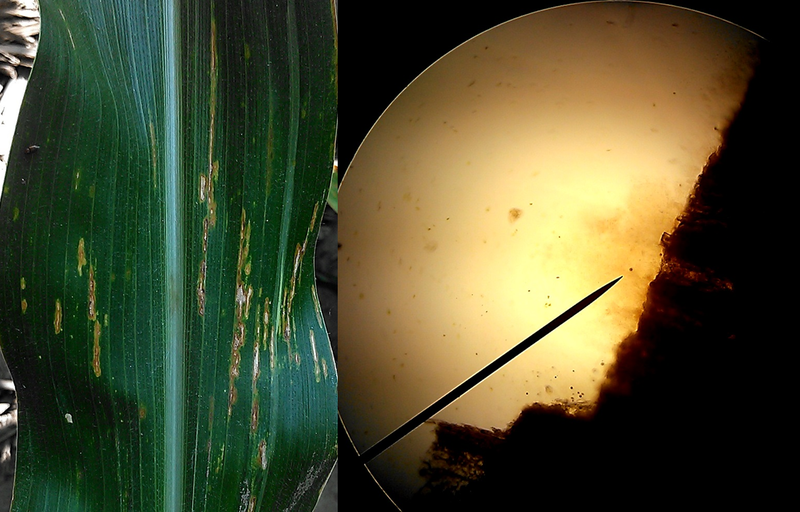 Microscopic Observation: Spores of southern rust appear elongated vs. common rust appear as near perfect circles. 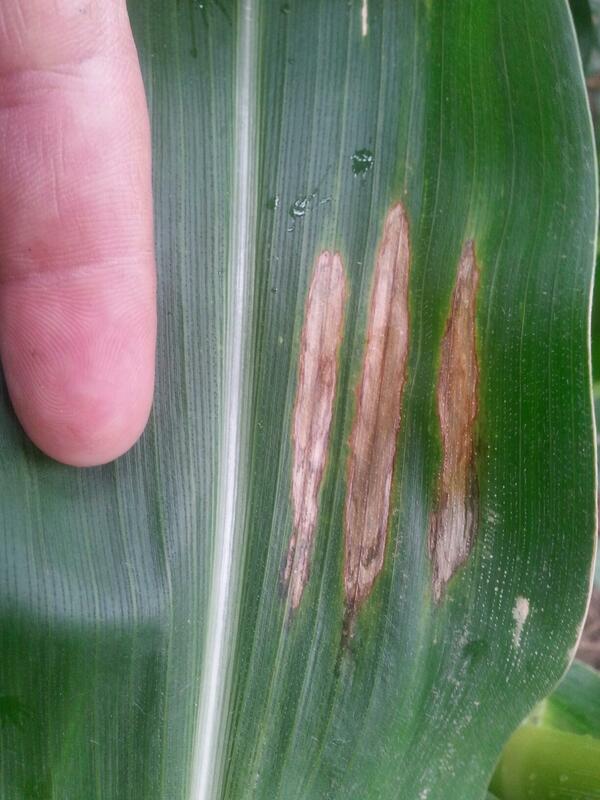 Another common problem is old common rust lesions being confused as gray leaf spot. The color of this lesion is a tan-gray, typical of gray leaf spot. Using backlighting or a handlens, you can see the pustules within this lesion confirming it is common rust and not gray leaf spot. I’ve had many calls that gray leaf spot was up the entire plant in their fields and after looking at fields, have found it to be common rust in most situations. It’s important to know what disease you truly have to make the best decision on fungicide application. Have also received questions on soybeans, particularly in dryland. 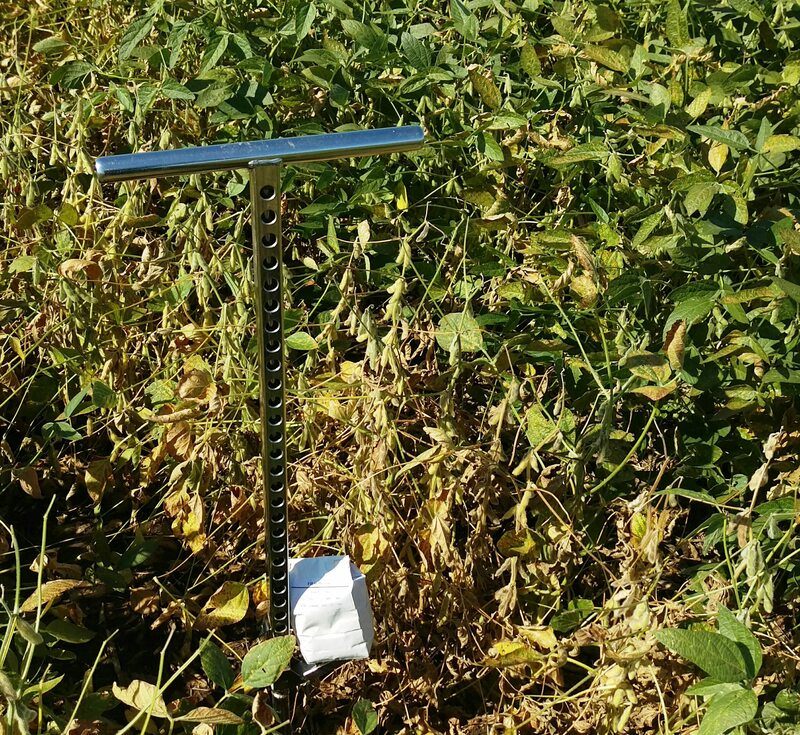 This photo is showing drought stressed soybeans-often occurring in pockets within dryland fields right now. Closer observation shows plants aborting pods and losing lowest leaves. Spidermites can also be viewed on leaves in some of these patches. Dryland corn showing stress as well. June rains were making for dryland crops with potential, but also led to shallow rooting. 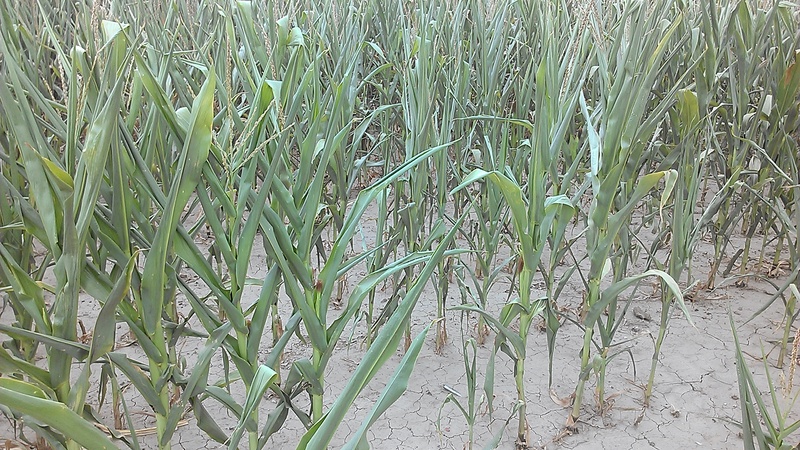 Crops could use a drink right now….but would prefer no more hail and tornadoes. The storm that hit Clay County so hard occurred one year ago today.